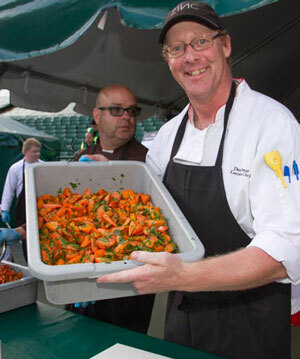 The three chefs who have helped make CapitalCare Foundation's Feast on the Field famous received recognition on National Philanthropy Day. 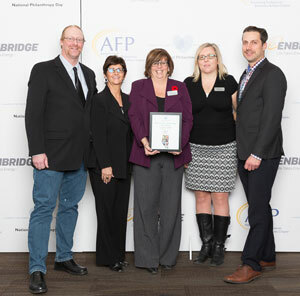 The November 10 event, presented by the Association of Fundraising Professionals, honoured people in Edmonton and area who give selflessly of their time, talent, and treasure. 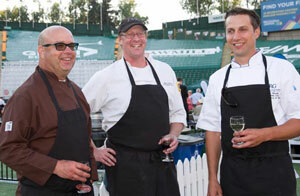 In 2015, three incredible Edmonton chefs took a crazy idea and generated a great, tasty fundraiser for the CapitalCare Foundation - Feast on the Field. 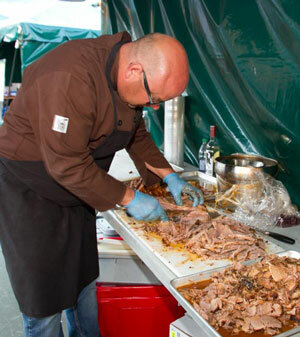 Brad Smoliak, David Omar, and Steve Buzak combined their award winning skills to cook up pork ribs, beef brisket, and barbeque chicken for a hungry group seated at long tables on the home turf of the 2015 Grey Cup Champions – Commonwealth Stadium. How many times do you get to sit on the field at Commonwealth Stadium, look up at the stands, and share great food with new friends? Well so far it has only been one night – August 12, 2015. 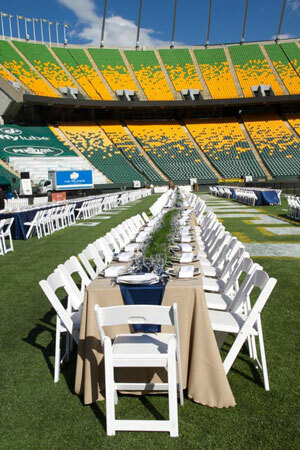 The field was arranged with long tables and fresh Alberta food was served in a traditional picnic style creating a sense of community. Money raised went to improving the quality of life for seniors and others in the Edmonton area who are living in care. This event was a huge success because Brad Smoliak, David Omar, and Steve Buzak are enthusiastic philanthropists who not only donated their time and talent, but also convinced their peers in the food industry to support the cause with donations of products and service. People went home happy that night in 2015. And, given the feedback from that event, Brad, David, and Steve agreed to do it again! On August 17, 2016 these three talented and generous chefs will once again fill Commonwealth Stadium with long tables of great food. We don’t know where they find the time or energy given all of the other good work they do to keep our community strong. 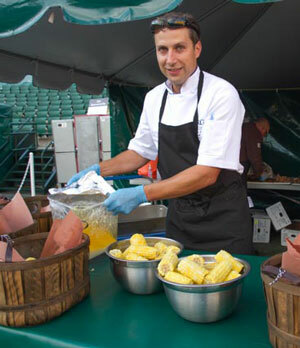 Brad Smoliak is involved in countless food fundraisers such as Bacon Fest, Sherwood Park’s Farm to Table, the Taste Alberta Harvest, and the Roots, Boots, and Garden Shoots fundraiser. David Omar spreads his passion for good food through his support of the Gold Medal Plates Canadian Olympic fundraiser and many Edmonton Art Gallery fundraisers. Steve Buzak is a huge advocate and driver of the Hops and Whiskey fundraiser for YEGPride Centre. Thank you Brad, David, and Steve. Your generosity is making a difference!